 First of all, thank you for your interest in BAÇ Engineering products and services. An important aspect of our company is that we provide services as well as products and our systems can be designed to be customized for our clients’ needs. With this, please do not hesitate to contact us for any inquiries needed for your projects that are not included on our website or catalogues. Our company operates on Robotics & Automation Systems and provides custom solutions for its clients’ needs by producing unique products in the medical and biotechnology industry. Furthermore, our company offers project designing and engaging services for any kind of automation projects by determining the client’s needs and finding the right solutions for these needs. We hope that you find the options that will suit your needs in our catalogues. We will be happy to be working with you in finding the right solutions for your needs.